My name is Paul Huntley and I established PJH Plastering in 1988 after gaining City & Guilds qualifications in both plastering and advanced plastering whilst serving a 3 year apprentiship. 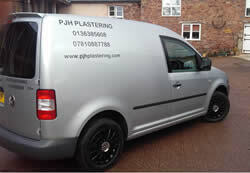 PJH Plastering UK Ltd became successful plastering new build, domestic and government work. I have a reputation for being very clean and efficient, reliable and trustworthy by local and far reaching clients alike. 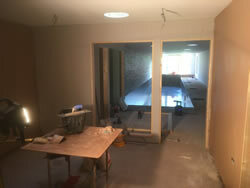 I pride myself in completing work to a high standard and offer a comprehensive range of products and skills to cover all aspects of plastering, both interior and exterior, and will happily quote for both labour only or supply and labour projects, price from plans or by visiting you on site, complete the smallest bathroom ceiling to the largest mansion and you can rest assured that I am a fully insured professional you can trust. I am based in Crediton, Devon but have worked all over the UK and Europe, some examples of which I have listed here.